After a lot of planning and hard work, we’d like to proudly present the newest incarnation of the Titanium wiki! 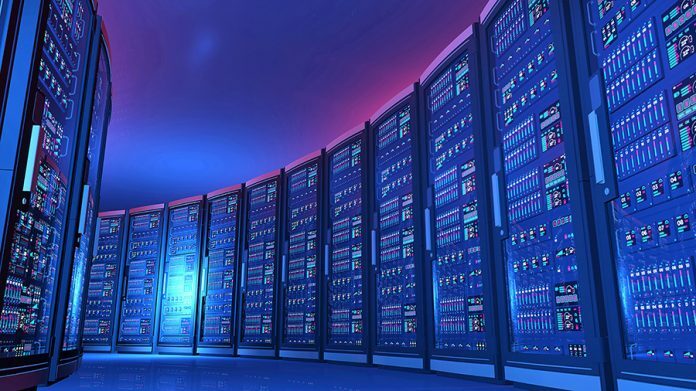 Based largely on the community’s feedback, it has been restructured and reorganized to make it more accessible and easy to navigate for Titanium developers. You’ll now have a much more intuitive interface for accessing everything from “Getting Started” information to advanced tutorials. In addition, we’ve also added more guides, examples, and tutorials, all the while working to make existing content more comprehensive. The brand new dashboard for the wiki does a much better job of categorizing the high level sections of our content. This gives both new and veteran Titanium developers a clear path to follow to their desired content. We won’t go into detail of what each section contains, but here’s a high level look at the what’s been made available through the new wiki interface. Quick Start – The definitive guide for new Titanium developers. This will help you get Titanium Studio and SDKs installed, as well as get you building your first “Hello, World!” app. Example Applications – Your one-stop reference for all of Appcelerator’s open source example apps. Videos – Our Vimeo collections of videos, including CODESTRONG sessions, every episode of Forging Titanium, and free Titanium training videos. API Documentation – A convenient link back to our latest API documentation. 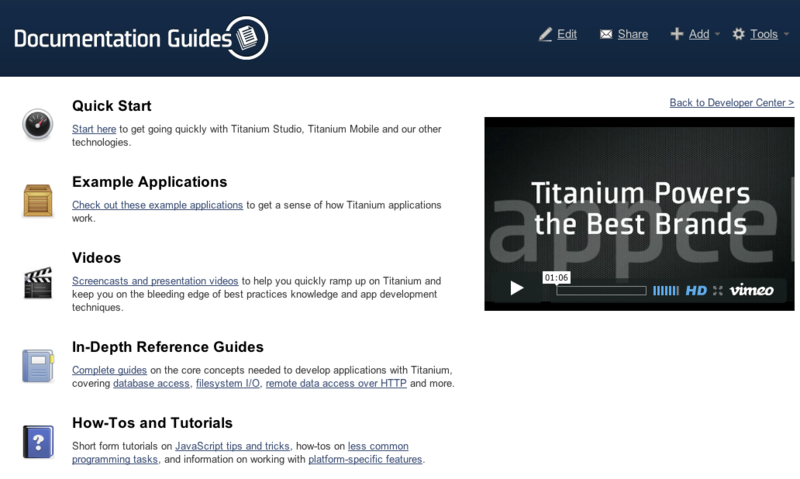 In-Depth Reference Guide – Comprehensive guides for building high quality Titanium apps for multiple platforms. This section is organized as a book with “chapters” and “sections”, going into Titanium fundamentals and advanced topics in great detail. 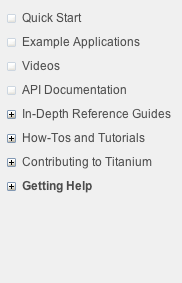 This section is a must for Titanium developers looking to take their apps to the next level. How-Tos & Tutorials – A collection of easy-to-follow tutorials for using a multitude of Titanium’s features. Contributing to Titanium – Details how you can contribute to Titanium via bug reports, suggestions, documentation, or even submitting pull requests to the core open source SDK projects. Getting Help – A quick reference of the various places you can get both community and professional help with Titanium. Have a look at the new wiki and let us know what you think. We are still constantly adding new content and making improvements, so keep an eye out for more. We’re aiming to make the process of becoming a Titanium developer (and growing as one) as smooth, and fun, as possible. We hope you agree that this is one big step in the right direction. Next articleMarketplace revenue doubling since Paypal integration! Well organized, I like it.